Brown breakfast sausage in a medium skillet. Once brown, allow to cool slightly. Mix together sausage, green onions and bell peppers. 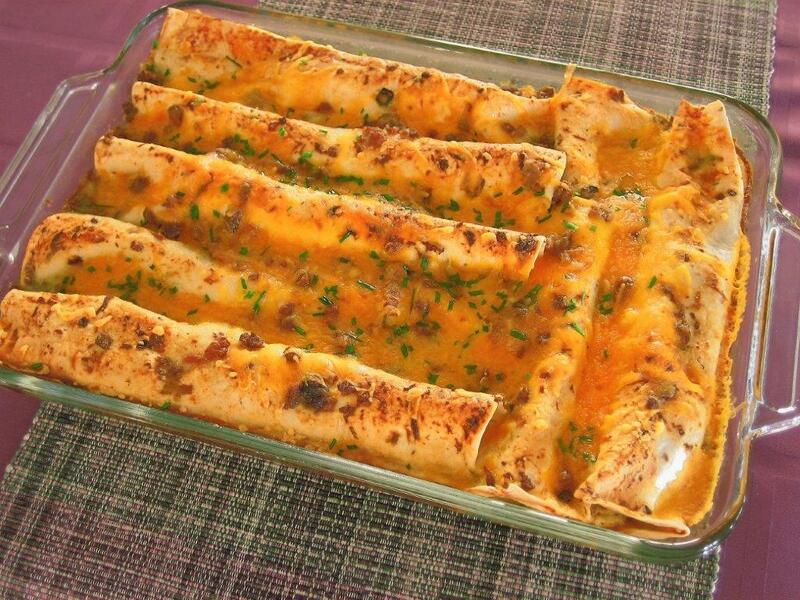 Spoon approximately 1/8 cup of the sausage mixture and 3 tablespoons shredded cheese onto each tortilla and roll up. Place rolled tortillas, seam side down in a greased 9 inch x 13 inch baking dish. In a medium bowl, mix together eggs, Stokes Green Chile Sauce with Pork and Jalapenos, milk, garlic powder and hot sauce. Pour mixture over rolled tortillas, cover and refrigerate overnight. The next morning, remove the casserole from the refrigerator and allow come to room temperature, about one hour. Bake uncovered for 50 minutes, or until set. Sprinkle casserole with remaining 1 cup of cheese. Bake about 3 minutes more, or until cheese melts. I have yet to try this product, but my coworker who has, raves about how wonderful this is and that if she can get some here in central PA, this is the recipe she is going to make for me. I have never tasted your product but I have to tell you, it is my mission to get this here in central Pennsylvania! !